University of the Pacific Conservatory of Music has been delivering an outstanding music education for more than 135 years. Degree programs are offered in vocal and instrumental performance, composition, jazz, music education, music management, music therapy and music history. The Conservatory of Music offers a very unique experience in having a student to faculty ratio of 5:1, and also providing a large and dynamic breadth of degree plans. Passionate and dedicated faculty artists/scholars provide a rigorous and supportive learning environment. 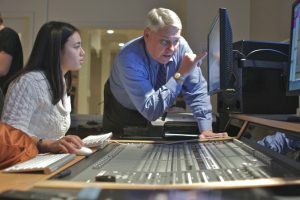 Students have access to a recording studio as well as composition labs, and the student experience draws on the rich artistic and cultural diversity of Northern California. When students begin to think about making music the subject of their study at the university level, there is often a very narrow view of the possibilities offered by the music industry. Fortunately, the Conservatory of Music shows there are many different ways of using one’s passion to craft a career in music. 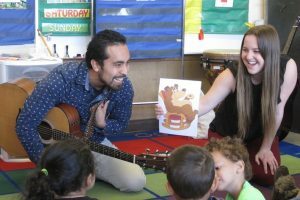 Our students teach in K-12 schools in a variety of situations, and we have had a 100% job placement of our Music Education students for over 20 years. Music Therapists can be employed in settings ranging from schools, to hospitals, hospices, mental health facilities, prisons, clinic and private practice. The field is still expanding and the demand for our therapists is robust. 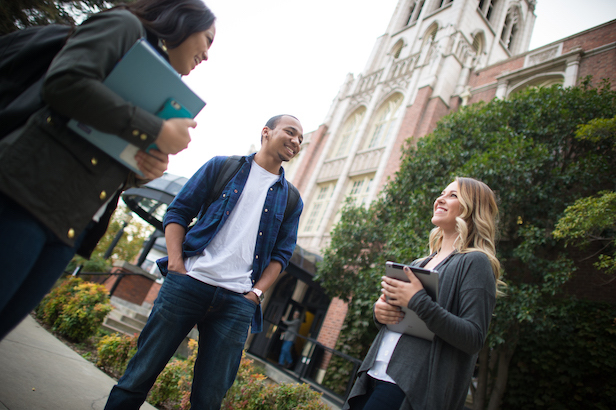 Composition students most often pursue graduate studies after Pacific, but their interests go from classical music, to film and television and musical theatre. Finally, the music industry is an open canvas of opportunities, and if you want to produce music, manage an artist, or develop countless other career paths then the opportunities to prepare for those goals are available at University of the Pacific. These are just a few of the examples of the diverse work being done in the arts by the graduates of the Conservatory of Music. No matter what our graduates choose to do in life, we know that we have prepared them to succeed. Please send me more information about scholarships, applications, and auditions for music students at University of the Pacific Conservatory of Music. Your name and email address are held in strictest confidence by MajoringInMusic.com and University of the Pacific Conservatory of Music... they will not be shared with anyone else.